Glitter Tattoos and Balloon Twisting! 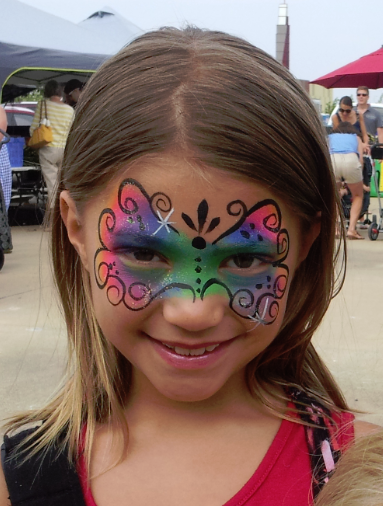 Face Painting is loved and enjoyed by all ages. Cute, scary, funny or beautiful - painted faces bring out the creativity and imagination in all of us. We are professional entertainers that face paint and balloon twist in the Dallas area and who love their work! We service the DFW area including Frisco, Plano, Lewisville, Addison, Mesquite, Trophy Club, Bedford, Garland, Rowlett, Allen, McKinney, Uptown, Downtown, Little Elm, The Colony, Arlington, Grand Prairie, Richardson, Sachse, Keller, Prosper, Celina, Melissa, Denton, Sherman, Kaufman, Irving, Los Colinas, Greenville and more! Please contact us anytime for availability and rates! or call me at 469 644-4478.